Can you handle the cuteness? We can’t either. 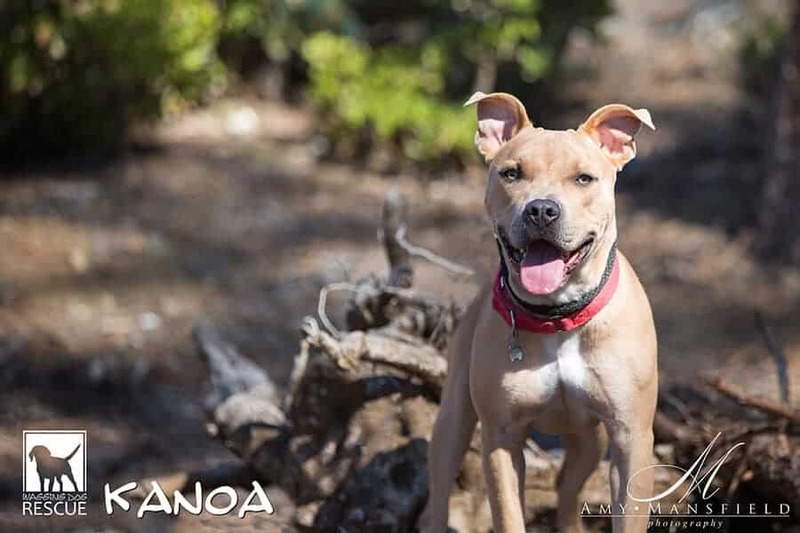 This gorgeous guy is Kanoa, a sweet fawn colored pup born around July 2015. His name means ‘the free one’ in Hawaiian 🙂 Kanoa’s former owner couldn’t keep him but the stars lined up and we were able to place him in a foster home. 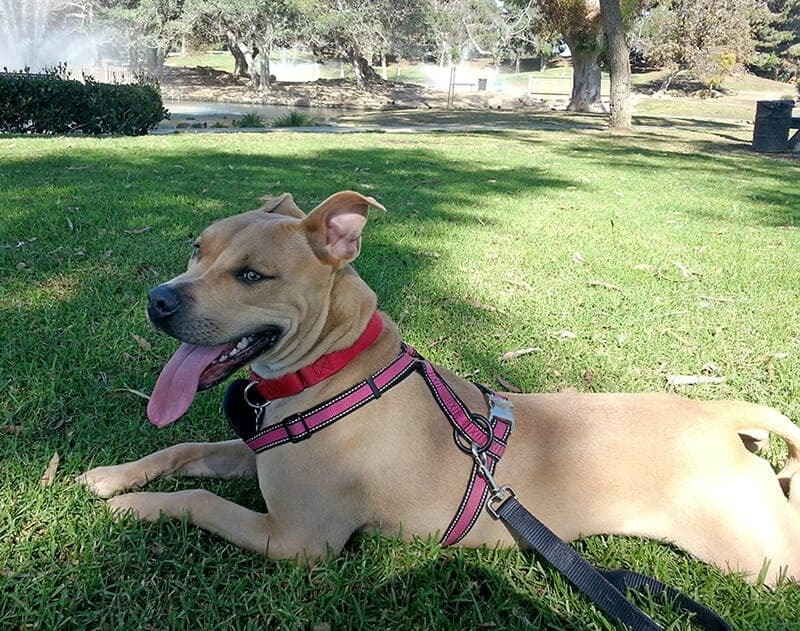 He’s got a pawesome foster dad now who’s been working diligently to help his foster pup gain confidence in his environment, and we are SO impressed! 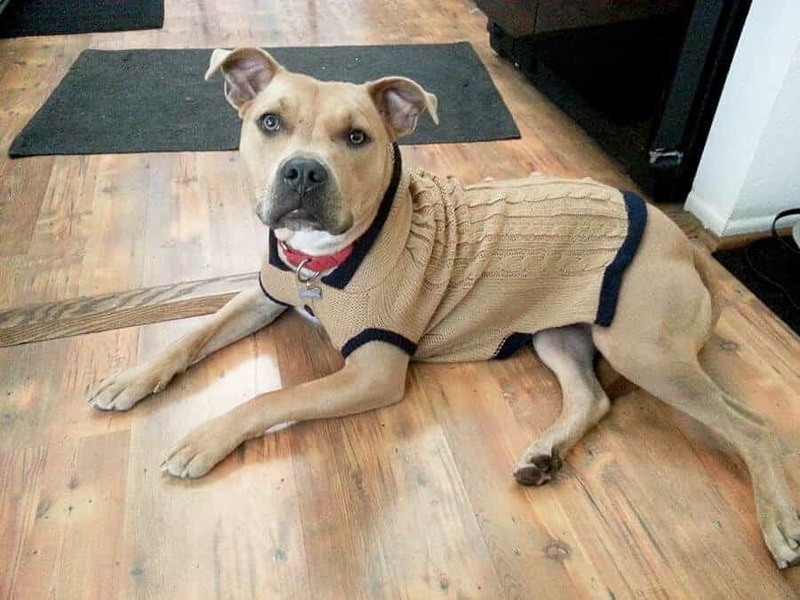 Kanoa is a perfect gentlepup in his comfort zone and around his trusted people. He doesn’t jump, stays off the furniture, is crate trained, a stellar passenger in the car, doesn’t bark, and even lays down in the tub so you can bathe him. 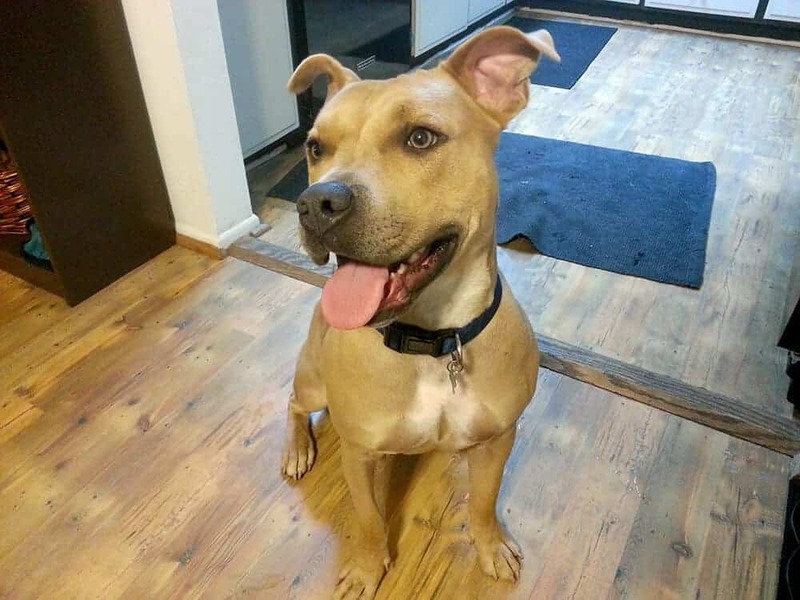 He’s had female dog playmates in past and is now doing fine as an only foster child. Smaller dogs, cats and squirrels are a bit too stimulating for our young boy, and he’ll be looking for a quiet adult home to enjoy. A private backyard would be nice but he’s doing great with a dedicated foster dad and no yard now. He goes on neighborhood walks several times a day to do his business and get some exercise, and the rest of the time he’s content within his home. Kanoa is great at entertaining himself and has a medium energy that’s not demanding at all. He’s definitely a dog who will prefer a very small world, with a limited number of humans whom he can learn to trust at his own pace. He’s already come a long way and we hope to find savvy patient pet parents who understand that just as we’re all different, so are our canine companions. Keeping their world as small or large as they want it to be is our duty to them as responsible owners. Our pale golden boy is around 55 pounds, the perfect pit bull size. He’s probably one of the most beautiful dogs we’ve ever laid eyes upon and definitely one who attracts attention, desired or not. He’s a lowrider with a happy pibble smile =D And his eyes!!! WOW. We want this ambassadog-in-the-making to have a responsible, loving family. We hope his parents will understand leadership and will ensure that this beautiful boy matures into all of his sparking potential. His foster dad has already given him a fabulous head start, and we’re happy to provide professional training to ensure his adoption is a success. We’re so excited to see the amazing adult that he becomes with the right people, changing minds right and left just by being himself! Are you an introvert seeking a mini me? Get in touch today and inquire about our boy Kanoa!